Water Cooling Baffles- Vacuum Pump - EVP Vacuum Solution! Water cooling baffles are very importnat parts in Oil Diffusion Pumps that installed between the inlet of oil diffusion vacuum pump and the high vacuum valve. It is used for blocking the oil vapor and reducing the back-streaming rate and can help clean the vacuum room. 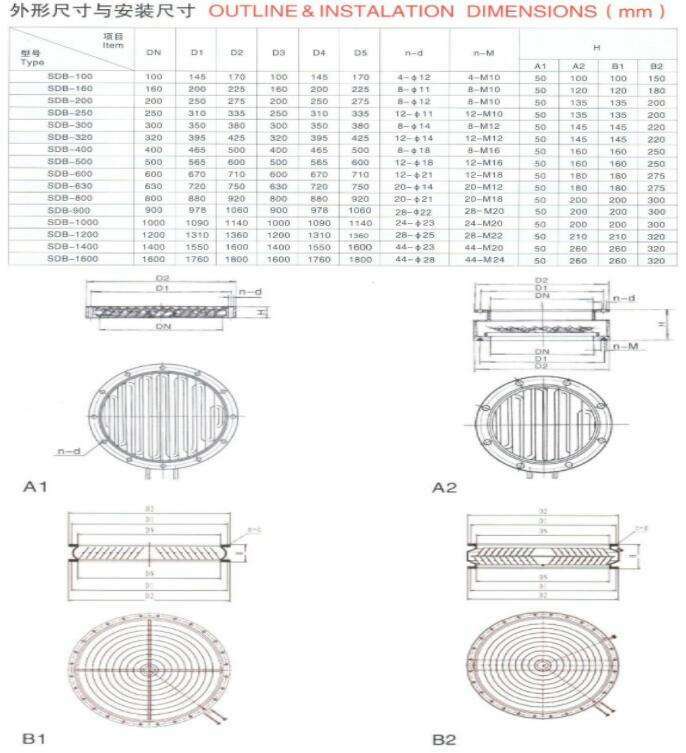 The baffle in our company is named SDB series which adopt the form of venetian blind (type A1, A2) and cone (type B1, B2, cooling fluid: water or Freon). They have large catching area, compact structure and good cooling effect. Besides, B1 & B2 adopt stretching process, reduces weld crack and out gassing and increases strength. As a main part in diffusion pump, water cooling baffles in our company make it true to guarantee “No-leakage of oil” and “No-leakage of air” based on R&D team’s hard work. And that contributes a lot to the vacuum of oil diffusion pump.